Nordhoff Jewellery Couture, a custom jewellery house in Mount Lawley, Western Australia’s only licensed Fairtrade Jeweller in alliance with Clean Mining Ltd announced today that they are now providing ‘clean gold’ - the first gold produced in Australia that is environmentally friendly by not using cyanide or mercury in the production process. Traditionally, gold has been processed with the extremely toxic cyanide. Recently at a demonstration plant in Menzies, in WA’s Goldfields region was the first site to pour ‘clean gold’ using a non toxic solution. Mrs Nordhoff said: “With the emergence of the Australian consumer caring about where and how the materials they consume are delivered and how they have been sourced impacts the environment, this is a truly groundbreaking milestone for Australians as they choose their wedding ring designs”. Most consumers don’t know where the gold they have in their wedding ring comes from let alone how it is mined. Gold mining with cyanide can contaminate water, ruin the environment and injure workers. 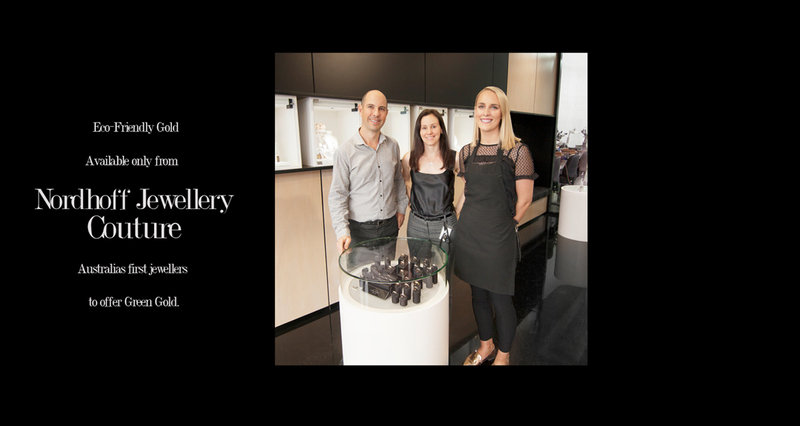 Clean Mining Ltd achieved a test run with the CSIRO early in 2018, and have chosen to align with Nordhoff Jewellery to provide gold jewellery that is good for the environment. Choosing ‘clean gold’ can help care for the precious Australian environment and give you peace of mind when it comes to minimising pollution. Gold that doesn’t cost the earth!